Cecil the lion. Everyone has heard of him. 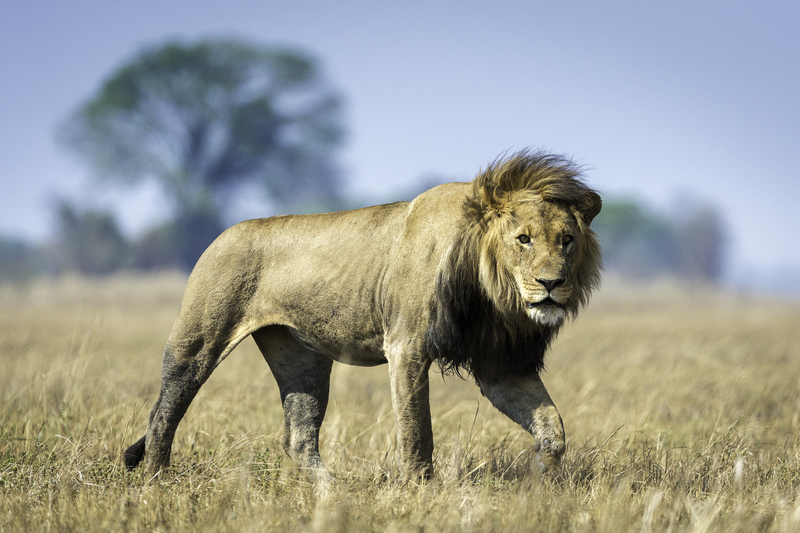 He was a magnificent male with a huge dark mane who was lured out of the sanctuary of Zimbabwe’s Hwange National Park in July 2015 and shot with a bow and arrow by a dentist from Minnesota. Cecil’s death raised an outcry all over the world, even forcing the person who shot him into hiding. There’s nothing good to be said about this vile episode. 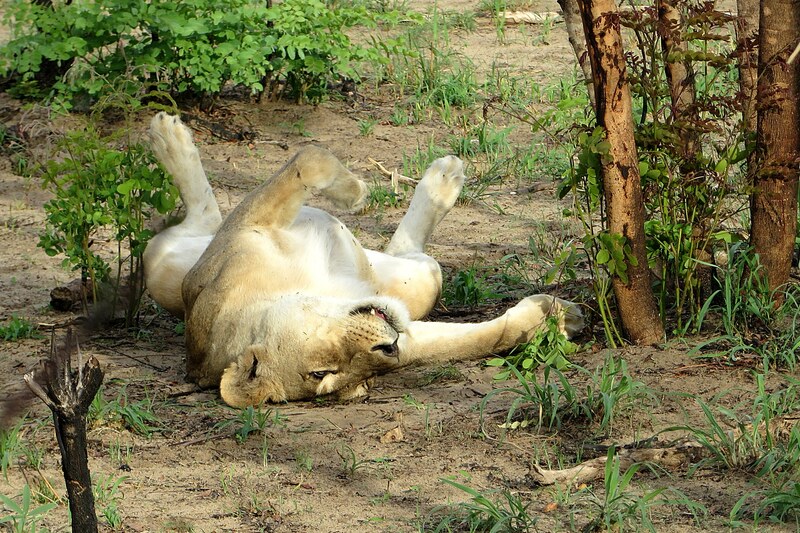 Nothing good – except perhaps that it did draw the public’s attention to the plight of lions in the wild. 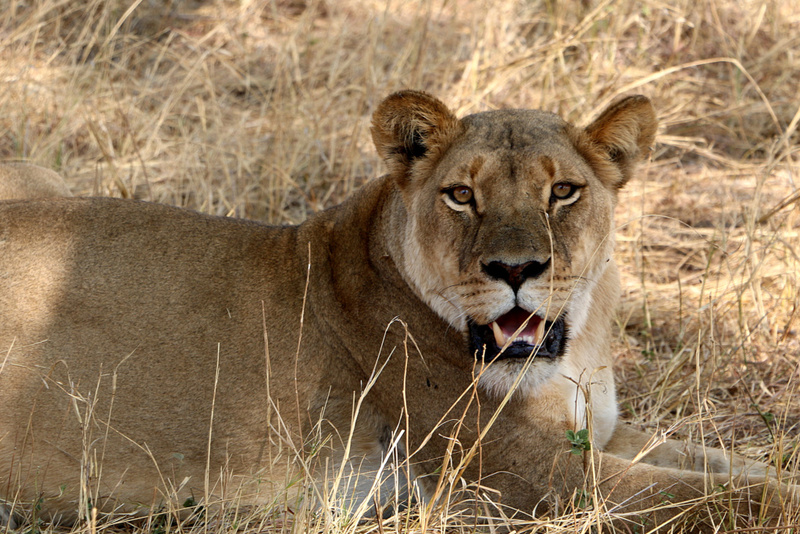 Did you know that lions have now disappeared from 90% of their historic range? Or that there are now fewer than 30,000 lions left in the wild in Africa? Sadly, the main cause of the precipitous decline in lions has been relentless human encroachment for agriculture on historic lion ranges. Tasimba is a unique program built around the iconic African safari that offers our members a deeper engagement and experience than most visitors ever get. What makes Tasimba the African safari experience like no other, is a wide variety of all-inclusive special offerings. For starters, we spend six full days in sole occupancy of a beautifully appointed luxury camp, supplementing our twice daily safaris with stimulating discussions led by outside experts on vital topics like conservation, lessons from nature, the community, culture and Africa itself. Last year on one of our Tasimba safaris in Hwange National Park, we spent about an hour sitting in our 4 X 4 vehicle a few yards from a beautiful male lion lying peacefully by the side of the bush track. 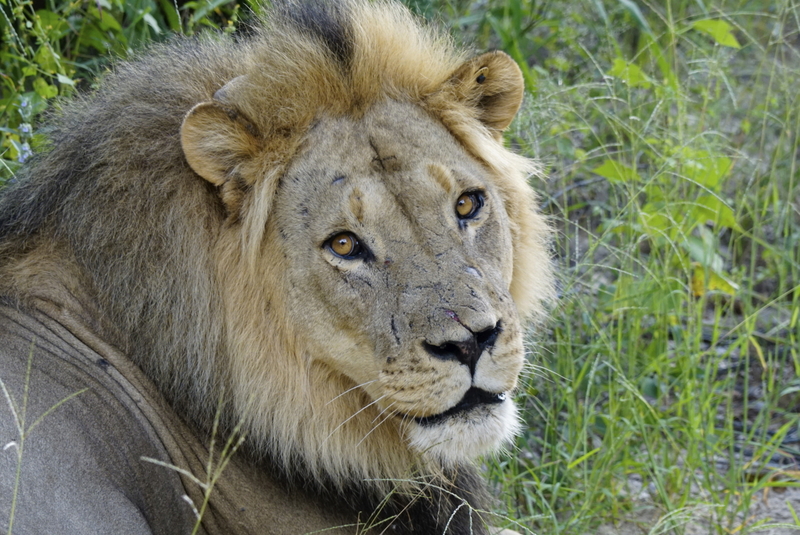 This was Xanda, the six year old fathered by Cecil when he was the pride male here. Later, in the fading light of dusk, we found him calling for his pride – a powerful roaring that reverberated deep inside our own bodies. 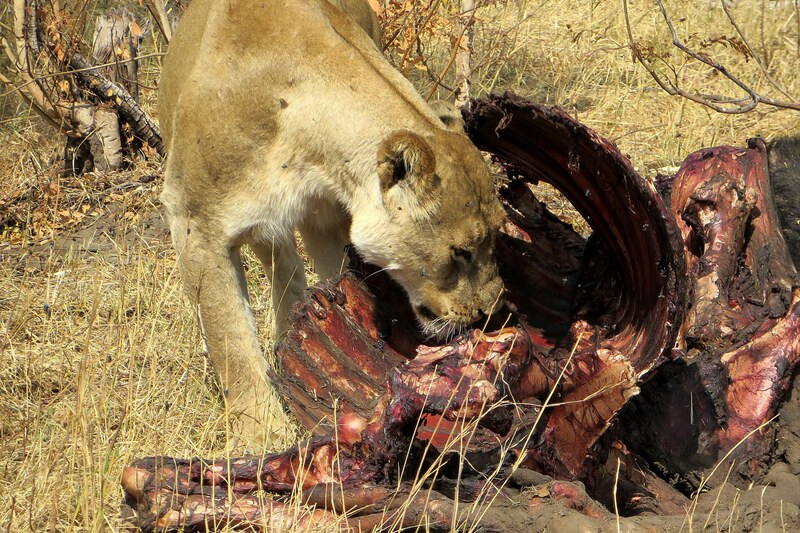 Lion populations thrive where there is plentiful prey and minimal human conflict. 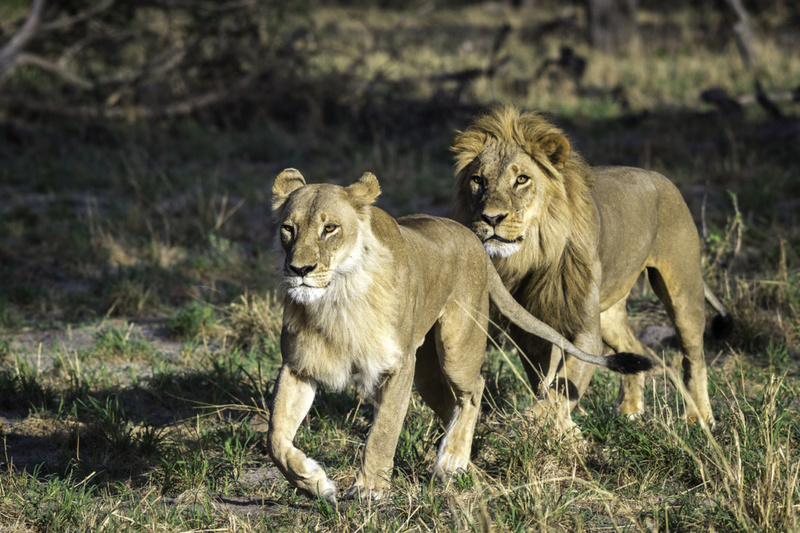 By tracking the movements and behaviors of mature male lions, WILDCRU has been developing a growing understanding of lion behaviors and how to minimize the impact of lion/human conflicts, which never end well for lions. The problem, as it is for all conservation needs in Africa, is financing. It takes money to preserve and protect pristine wilderness for wildlife. Wilderness Safaris, operator of Tasimba’s home camp, Linkwasha, see themselves as, first and foremost, a conservation company. They operate 55 superb camps (with minimal ecological footprint) in 8 African countries and they share the unspoiled wilderness with guests as the way in which they generate the funds to support their conservation efforts. 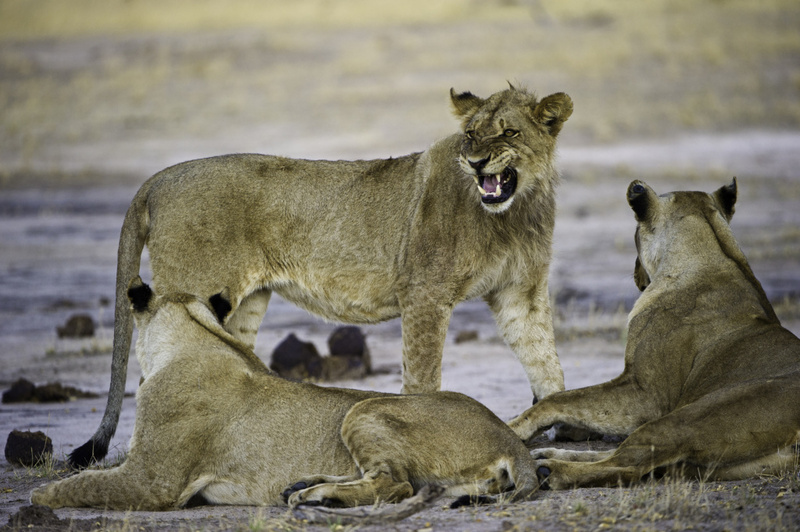 But there’s a lot more lion range outside National Parks and areas managed by conservation-minded operators like Wilderness Safaris that is unprotected from human, commercial and rural encroachment. In many parts of Africa, the pressures of economic development and human population growth leave little or no money or priority for conservation of the wilderness. In those circumstances, the absence of any strategic management of the wilderness leads to abuse and, inevitably, indiscriminate killing of wildlife, like Cecil. 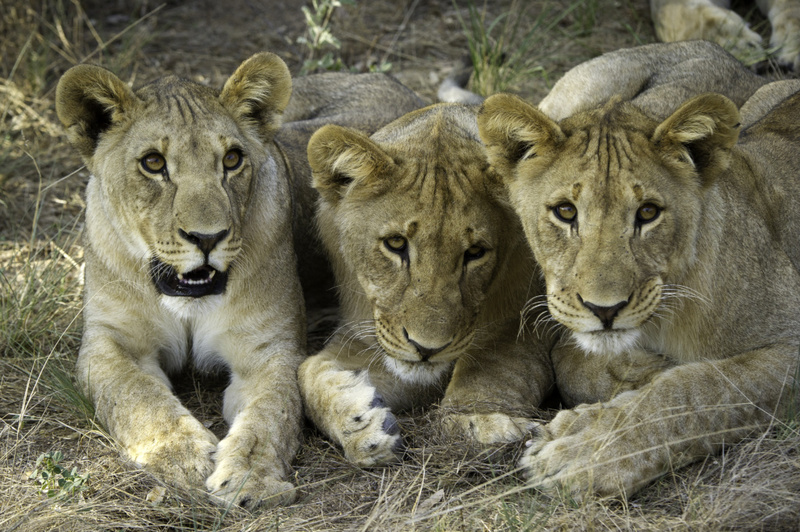 Lions, Africa’s iconic wild animals, are losing their right to survive and thrive – mostly because of human interaction. Like elephants and rhinos, and even the lowly pangolin, the developed world has a huge responsibility to preserve these and other vulnerable animals for our grandchildren and for future generations. At Tasimba our purpose is to bring people who care about the world into this unspoiled wilderness to marvel at the wildlife and to raise their awareness of just how important it is to preserve precious nature the way it has been for millennia. Their experience will be engraved on their memory forever. Our belief is that it will inspire them to help preserve, not just the African wilderness, but our planet, our environment and our own communities. On a Tasimba safari, discover what YOU want to do to make the world, or your hometown, a better place for all of us and for future generations. Postscript: Two months after this blog was written, Xanda, Cecil the Lion’s son, was himself shot and killed when he ventured outside the National Park.